Skin moles are quite natural, but one of the most common things that we human beings want to get rid of. Although some cultures consider it to be a beauty mark, many people today find it hideous. Though your entire appearance is not fully in your hands, the presence of skin moles can be. Let’s find out how below. What Is a Skin Mole? A mole is a collection of melanocytes, or pigment cells. Usually, these cells are spread out evenly throughout your skin. However, sometimes a cluster of them forms, resulting in the formation of an unsightly mole. How Can I Get Rid of Skin Moles? Even though moles are not harmful at all, they can be very unappealing at times. Advanced medicine and technology have introduced quite a few techniques for mole removal, such as surgery, cauterization, laser removal, and many more. Unfortunately, these methods have numerous complications associated with them, not to mention they are expensive too. If you are looking for a natural, simple solution to remove your moles, then tea tree oil is the perfect answer for you. Tea tree oil, or melaleuca oil, is a pale yellow-colored oil extracted from the leaves of the tea tree, also known scientifically as the Melaleuca alternifolia plant. It has amazing antimicrobial, antiseptic, antifungal, and antiviral properties, which have made it an age-old natural remedy for a number of ailments, including the common cold, cough, sore throat, acne, skin lesions, and so on. Anecdotal evidence has also proven that tea tree oil can work wonders to remove moles and skin tags easily at home. 1. Cleanse and wash the area of the skin where the mole is located. You may use a gentle cleanser or simply use a mild soap and plain water. 2. Pat the skin dry with a soft clean towel. 3. 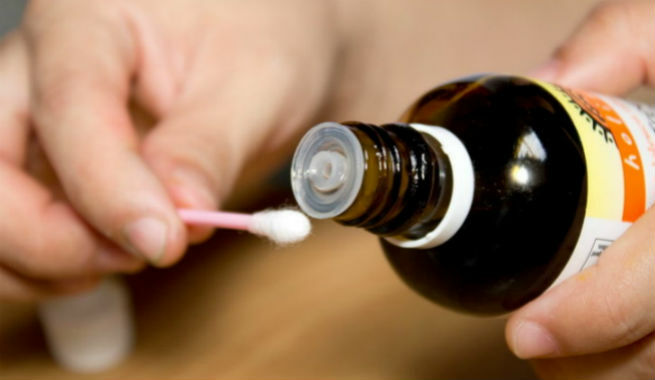 Take a cotton ball and pour a few drops of tea tree oil onto it. Apply it to the mole and hold the cotton ball there for a couple of minutes. Alternatively, you can dab a few drops of the oil directly onto the mole. 4. Repeat the entire procedure thrice daily. Continue the practice until the mole becomes dry and falls off the skin completely. It might also shrink over time and disappear gradually. Sometimes, the strong nature of tea tree oil can cause skin irritation. If such a situation arises, try applying it with the help of a wet cotton ball to lessen the direct impact of the oil on your skin. If the irritation increases, stop using the oil immediately. The skin beneath the mole usually turns sensitive upon regular application of this oil. Hence, it is advised that you avoid sun exposure as much as possible for at least 2 months in order to avoid skin damage and its hazardous consequences. Also Read – How To Use Tea Tree Oil For Keeping Acne At Bay? It has been proven that this tea tree oil treatment is best suited for moles that are more or less flat in shape and have shallow roots. Those which are malignant or deeply embedded in the skin will not respond well to this oil. 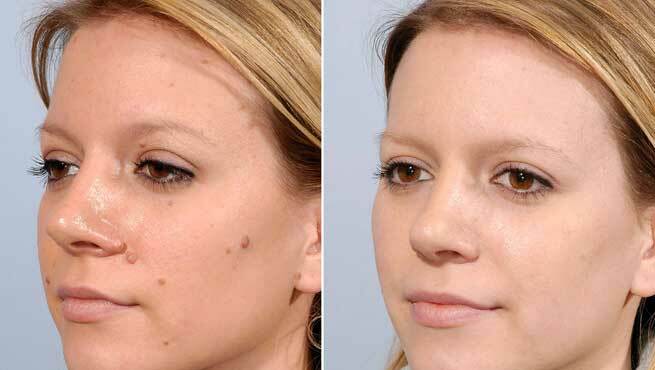 You will also have to wait for more than a couple of weeks to get visible results, but the exact time it takes is directly dependent on the size of the mole. Those with small moles might see results in as soon as 14 days, while others with larger moles might have to wait for months together. You also have to make sure you are very consistent about the treatment in order to enjoy its positive outcomes. What Are the Benefits of Using Tea Tree Oil? It is a natural treatment. It is safe to use and free of any side effects. There are no risks of infection involved. It doesn’t leave any scar or mark on the skin unlike surgical methods. The oil can be used on any part of the body, including hard-to-reach areas. It is very quick and easy to apply and can be practiced by anybody. It is the most inexpensive method of mole removal. What Are the Drawbacks of Using Tea Tree Oil? Results are not immediate. They take time and dedication. Tea tree oil doesn’t suit everybody. It can sometimes cause irritation, inflammation, or a tingling sensation after application. Many people have a hidden allergy to tea tree oil. There is no way to know this until it is tested on you and you develop a reaction. If this occurs, tea tree oil can never be a mole removal option for you. Everybody responds differently to the treatment and the outcome depends upon differences in various skin types. The strong smell of the oil might bother sensitive noses. While practicing this method, you might end up staining your clothes. Remember, it is always recommended that you perform a patch test prior to using tea tree oil to remove your moles. This will help you steer clear of all sorts of negative impacts this oil might have on you. 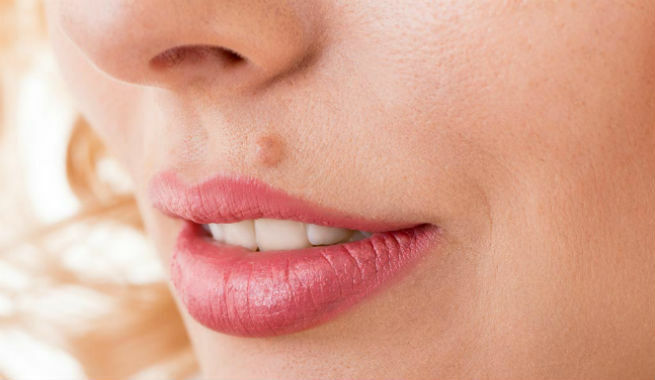 If the patch test goes well, then you should certainly give this mole removal method a try. Do you have a mole you wish to get rid of? Planning to try this method? Leave us a comment with your thoughts below. Buttermilk Vs Lassi: Which one wins the health competition?